What Is The Waco Siege? 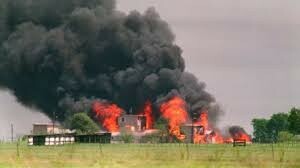 The waco siege was a 50 day battle between the branch dividans and the ATF (Alcohol, Tobacco, Firearms). "What Really Happened At Waco." 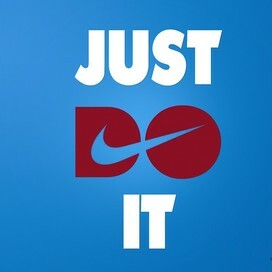 CBSNews. CBS Interactive, n.d. Web. 01 Dec. 2015. The waco siege was a 50 day battle between the branch dividans and the ATF (Alcohol, Tobacco, Firearms). David Koresh (Born August 17, 1959 – April 19, 1993) was the American leader of the Branch Davidians religious sect, believing himself to be its final prophet. Wikipedia. Wikimedia Foundation, n.d. Web. 01 Dec. 2015. 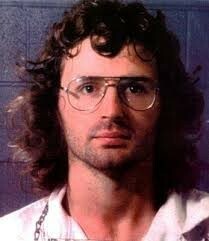 David Koresh (Born August 17, 1959 – April 19, 1993) was the American leader of the Branch Davidians religious sect, believing himself to be its final prophet. Who Are The Branch Dividians? The Branch Davidians are a religious group that originated in 1955 from a schism in the Davidian Seventh-day Adventists ("Davidians"),a reform movement that began as an offshoot from the Seventh-day Adventist Church around 1930. Wikipedia. Wikimedia Foundation, n.d. Web. 01 Dec. 2015. 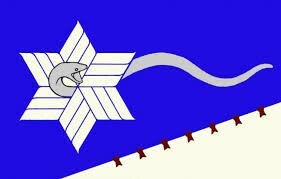 The Branch Davidians are a religious group that originated in 1955 from a schism in the Davidian Seventh-day Adventists ("Davidians"),a reform movement that began as an offshoot from the Seventh-day Adventist Church around 1930. How Many People Died In All? The siege ended on April 19, 50 days after the initial raid, when the FBI launched a final assault was launched against Koresh. Three fires broke out in the building, killing 76 men women and children, including sect leader Koresh. A total of 82 people died. "Waco Siege 20 Years On: Picture Timeline of Texas Massacre Which Killed 76 Men, Women and Children." Mirror. N.p., 18 Apr. 2013. Web. 01 Dec. 2015. The siege ended on April 19, 50 days after the initial raid, when the FBI launched a final assault was launched against Koresh. Three fires broke out in the building, killing 76 men women and children, including sect leader Koresh. A total of 82 people died. Where Was Their HQ Located At? The Mount Carmel Center during the Waco siege, with an M728 Combat Engineer Vehicle bringing down the roof of the gymnasium.Location of the Mount Carmel Center in Texas. Wikipedia. Wikimedia Foundation, n.d. Web. 03 Dec. 2015. The Mount Carmel Center during the Waco siege, with an M728 Combat Engineer Vehicle bringing down the roof of the gymnasium.Location of the Mount Carmel Center in Texas. Alternative names. 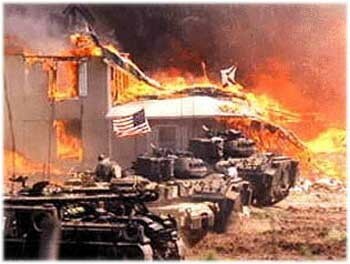 Branch Davidian compound. What Service Took Down The Branch Dividans? The ATF mostly took the Branch Dividans but they had some help from the FBI. "The Standoff in Waco - The Texas Observer." The Texas Observer. N.p., 18 Apr. 2013. Web. 01 Dec. 2015. The ATF mostly took the Branch Dividans but they had some help from the FBI.